Wrestlers like The Rock, The Undertaker, Kane, Big Show and others were not included as their status is unknown. They will likely be inducted the same, or following year of their retirement matches. There’s many old school names I did not include as they’ll likely become “legacy” inductees. Looking at previous inductions like Lou Thesz, WWE tends to focus on traditional wrestlers who were made elsewhere; unlike Bruno Sammartino, who played a huge part in WWE history. Wrestlers with highly controversial deaths are not included as it would not be morally acceptable for WWE to celebrate their careers. To stop this getting out of hand I rounded it out at 35. Did I miss any obvious names? Feel free to share your picks in the comments, and I’ll let you know if they were considered. We start with the youngest. AJ Lee made a name for herself being a personality first and a wrestler second. Despite being a regular in NXT, her main roster debut kept her as far away from the Divas division as possible. Instead, she was managing Dolph Ziggler, and kissing guys like CM Punk, Daniel Bryan, John Cena, and Kane; Vince even appointed her the General Manager of Raw. By the time she was ready to wrestle, AJ had established a “crazy” (don’t say it in front of her!) character with a wicked mean streak. It wasn’t long before she became one of the most dominant Divas Champions in the titles history. In fact, she can be given a little credit for helping to spark WWE’s Women Revolution by publicly calling out Stephanie McMahon on Twitter about equal opportunities. As a catalyst for change, AJ poked a big hole in Stephanie’s logic. Several years later, Vince McMahon finally came around to the idea of using women as “superstars”, handing them opportunities to show they could be just as entertaining as any man. Her early retirement came as a shock considering how young she was, and still is. She’d had enough of being treated as second rate, despite being the Divas Champion. The relationship between CM Punk, AJ and WWE may never be repaired .. but you know what? We’ve seen it before. It depends on if they can negotiate with WWE again, but my feeling is they’re done with that chapter for a long while. Maybe when they’re old and need the extra money? 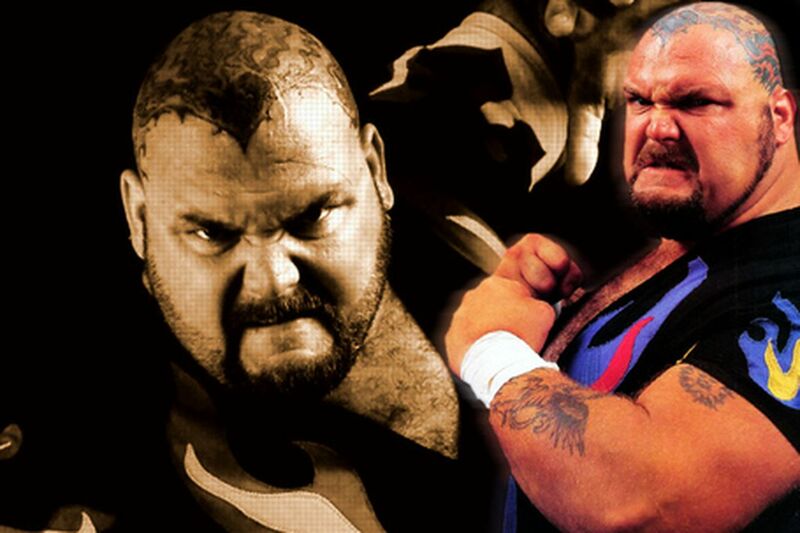 One of the best, most athletic big men in the history of wrestling .. is still not in the WWE Hall of Fame. Fans have been asking about Bam Bam for years, but nothing’s moved on the subject. Is it because he didn’t win anything memorable in WWE? He did manage to win a Slammy Award and main event Wrestlemania .. is that not enough? It’s hard to pinpoint the reason why, but something tells me WWE will figure it out eventually. He helped break down the belief that super heavyweights could not be as athletic as a light/cruiserweight. I’m beginning to wonder if WWE will wait long enough to quietly add him in as a “legacy” inductee in a few years. One of the greatest characters ever. The “loose cannon” Brian Pillman brought controversy to the WWF in a time when it really needed some edge. His “gun segment” with Stone Cold Steve Austin is still fondly remembered by many. However, because those segments aren’t really suitable for present day WWE, they’re rarely mentioned. Not only that, but they don’t want to bring up the fact they used Melanie Pillman’s grief (after losing her husband) as a selling point for Monday Night Raw. In bad taste, Vince McMahon repeatedly plugged the fact they’ll be getting words with his widow. Melanie appeared in no fit state to be answering questions on live TV, as she explained her feelings only days after Brian’s heart attack. And what happened to all the money WWE sent to her? To support his family? Her daughter Brittany claims her mother spent it all on drugs. This is why WWE is unlikely to induct him soon, at least til one of his daughters decides it’s time to do it without Melanie’s involvement. 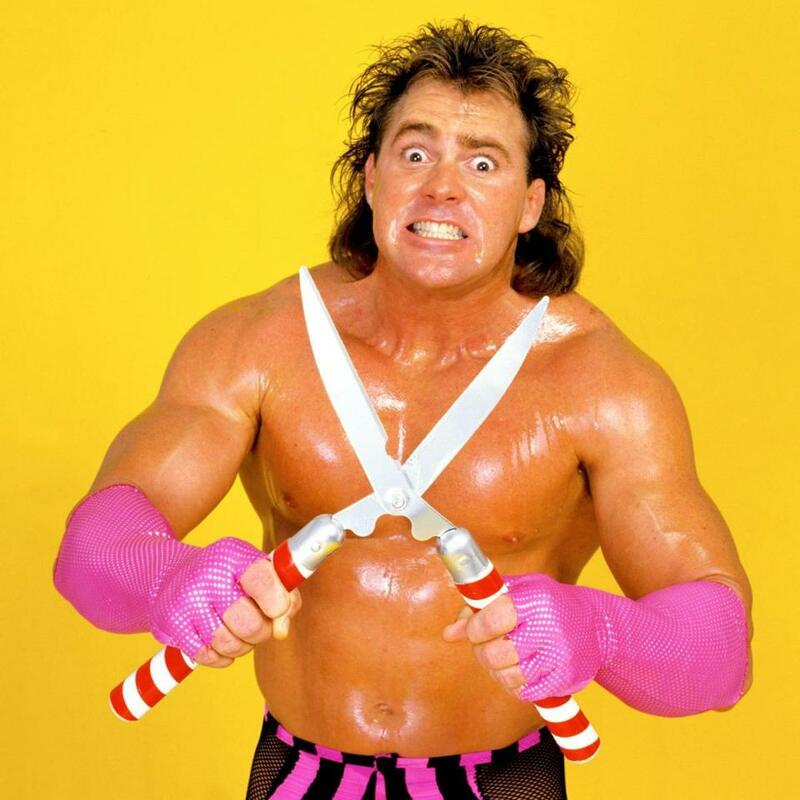 The man of many gimmicks is known to most as “The Barber”. We know he got preferential treatment due to his relationship with Hulk Hogan, but he sure did make The Barber gimmick memorable. He’s likely not been inducted due to his lack of singles success, despite having some high-profile feuds in the late 80’s. I think it’s only a matter of time til we see “The Mega-Maniacs” reunite on the HOF stage. It gives WWE a reason to call Hogan. Similar to AJ, except CM Punk left on harsher terms. The law suit with WWE doctor Christopher Amann is well-documented. After his critical comments on how he was treated, it feels very unlikely we’ll see a collaboration. But stranger things have happened, and if anything were to happen it would come down to money. The return of CM Punk is something Vince would splash the cash for. But I wouldn’t get any hopes, as Punk’s likely moved on for good. His career is Hall of Fame worthy, but the choice to return is his alone. He’s joked about (not) getting inducted for a few years now. Think it’s great how Edge makes fun of him with a running gag on the E & C show. As a former World Champion, ECW Champion, Intercontinental Champion, and tag team champion .. the spot is waiting for him. Seems strange how he’s been retired a while, is actively used for shows on the network .. yet WWE hasn’t given him the green light? Maybe they just like seeing Captain Charisma suffer? It’s gotta’ happen soon .. possibly after “One. More. Match!” For those with the benefit of flash photography. What a legend. One of the best pure “wrestlers” I’ve ever had the joy to watch. The Man of 1000 holds is synonymous with WCW’s Cruiserweight division, and WWE mainstay since 2000. And although 1997 sported many huge superstars in the feuding WWF vs. WCW, he was named the best wrestler of the year by Pro Wrestling Illustrated. Daniel Bryan cites Malenko as his number one guy growing up. He brought technical wrestling to another level, inspiring many of the greatest wrestlers of this generation.